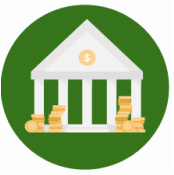 When Bank On Memphis started, we challenged many of the City’s financial institutions to lead the way in removing barriers keeping low-income families from opening bank accounts. So far, we’ve partnered with 14 banks and credit unions, with over 100 branches across Memphis. Since we launched in 2010, we’ve helped over 6,000 Memphis Households each year to open bank accounts and enter the financial mainstream. When you partner with Bank On Memphis, you can expand your marketing in targeted low-income neighborhoods, identify new customers, develop strategies to reach unbanked customers, and make strong connections in the community. Take part in Bank on Memphis outreach events. Partner with a community organization of your choice.